Bidding farewell to a past year and ringing in the New Year offers us all the opportunity to reflect upon our successes, our triumphs, our challenges and our resolve. Resolve to overcome obstacles, whatever they may be to each and every one of us. Last year the Justin’s House team experienced all of this while becoming a larger, stronger, more dedicated family with an even clearer vision of what our mission is. We experienced success as well as faced challenges and we look forward to what 2016 will bring. Within the first week of the New Year we received close to $3,000 in donations, we set the groundwork for our next fundraising event and are planning our first project working with the kids we wish to serve. As we embark on the 3rd anniversary year of losing our friend Justin, I am humbled by your support of Justin’s House and certain that he is smiling down on us all. He would be pleased to know that we continue to move forward, with passion, in our commitment to empower kids to choose a better way to live. Happy New Year to all- may we continue to shoot for the moon and land among the stars. Please share your thoughts with us at kellyv@justinshouse.org . Everyone is saying it – 2016 will be a very big year – whether you look to science, politics, or any number of topics, big things are on the horizon for 2016. Justin’s House will also be making a huge step in 2016 – serving our first set of kids! Although we will continue to look for our own space and continue to be steadfast in our mission of providing youth the motivation, support and skills they need to live beyond abuse and addiction, we are thrilled to catapult into direct service to students by partnering with long-time, Santa Clara nonprofit, the Bill Wilson Center. This July, we will provide two weeks of culinary and life skills camp to teenagers who are struggling with addiction. Bringing together 15 kids over two weeks provides us the opportunity to incorporate the many talents of our fabulous volunteers into therapeutic discussions, activities and reflections to maximize each day’s experience. By partnering, Justin’s House is able to focus on serving kids while we continue to look for a long term space in our community. We are excited to start implementing the path-changing programming that we believe will make the kids we serve more healthy and able to make different choices that will lead them to success without alcohol. Looking forward into 2016, the picture for Justin’s House is very bright and we hope you will continue to support with your time, positive energy and funds. Here’s to the new year-it’s going to be a BIG year for all of us! Location of a Space: Although we are going to be using the space provided by Bill Wilson Center for this summer’s program, we are continuing to look for our very own space where we can provide support, guidance and connection. We are in need of a permanent space from which we can operate and it is our sincere hope that you will join us in our efforts to find and/or fund a location for this very exciting and vital program. Send us your thoughts…we would love to hear from you! 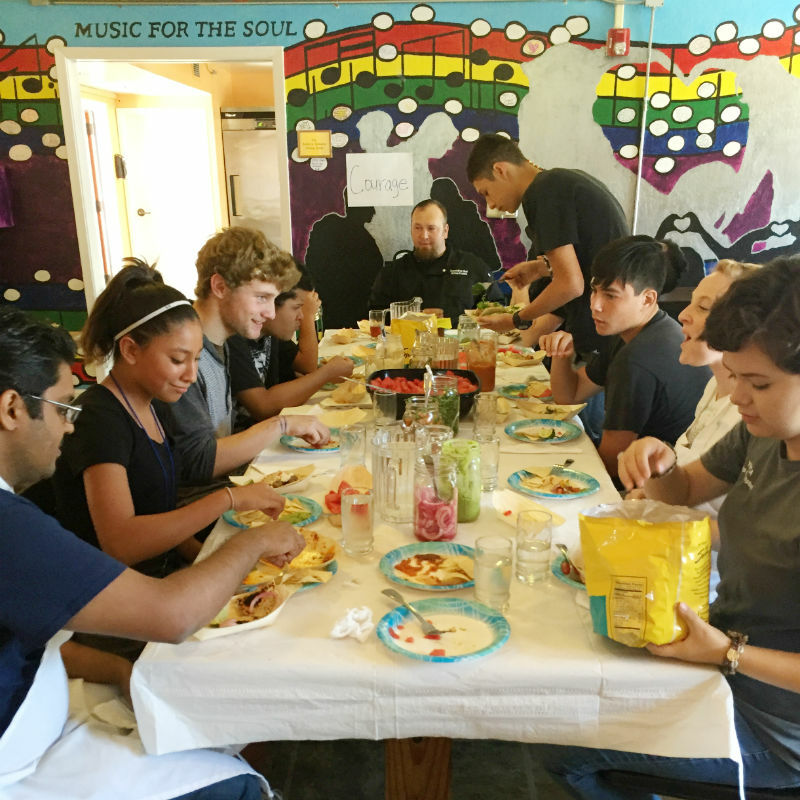 Developing our first Summer Program: Now that we have our risk management tools and our partnership with Bill Wilson Center in place, we are focused on building our first two week program,”Life Through Food”. This two week day camp in July will feature full day programming for 15 students building life skills, self awareness, decision making strategies and more all through working with food and innovative volunteers. Our next newsletter will feature our plans for camp, so stay posted! On-boarding our new Advisor: We are excited to welcome our new Technology Advisor Dhairya Mistry to the Justin’s House team. Dhairya brings over 10 years in IT and helping nonprofits just like us get off the ground. We are thankful for his dedication to our mission and welcome him with open arms! Click here to learn more information about this great new team member! Please join us on Sunday April 24th, 2016 for one of the HOTTEST events of the year- the first annual Justin’s House Chili Cook Off! 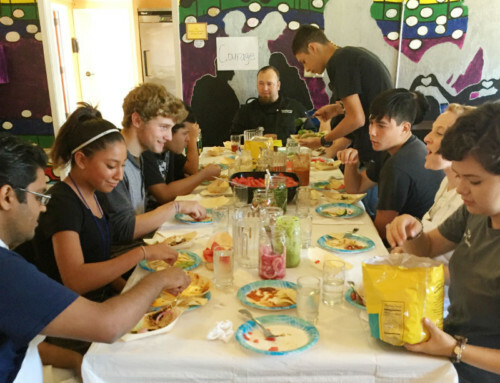 Cook and compete or just eat while supporting a good cause and building community. Bring the whole family for a fun- filled day of chili tasting, activities for the kids, music, raffle prizes and the opportunity to learn more about Justin’s House and its mission. For more information on how to register a team, buy tickets to the event or details of the day go to our events page. We hope to see you there!